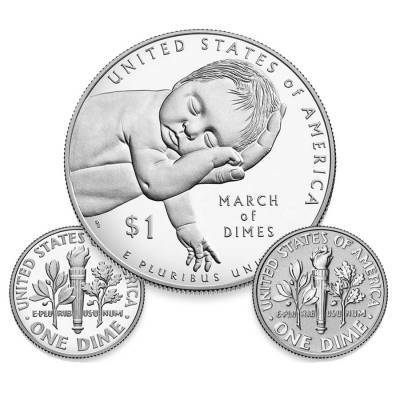 For the first time, the U.S. Mint will issue both a reverse proof silver dime from Philadelphia and a proof silver dime from West Point. These coins are only available in this special silver coin set commemorating the 75th anniversary of the March of Dimes, the organization originally founded by Frankin Delano Roosevelt. Originally to fight polio, the organization now funds lifesaving research and programs and works to end premature birth, birth defects and infant mortality. 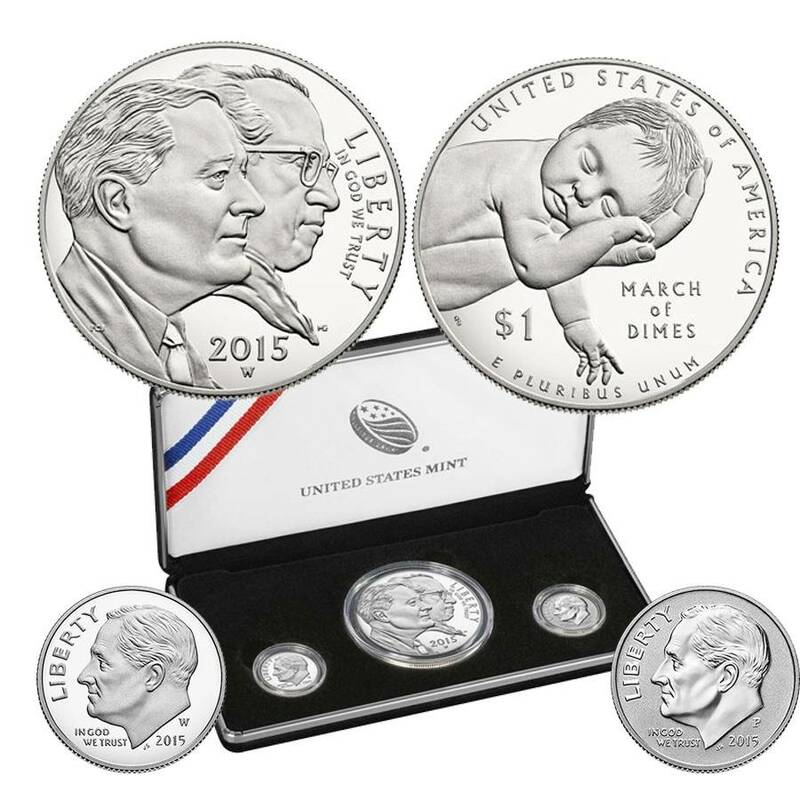 The set also includes a 2015 March of Dimes Proof Silver Dollar. 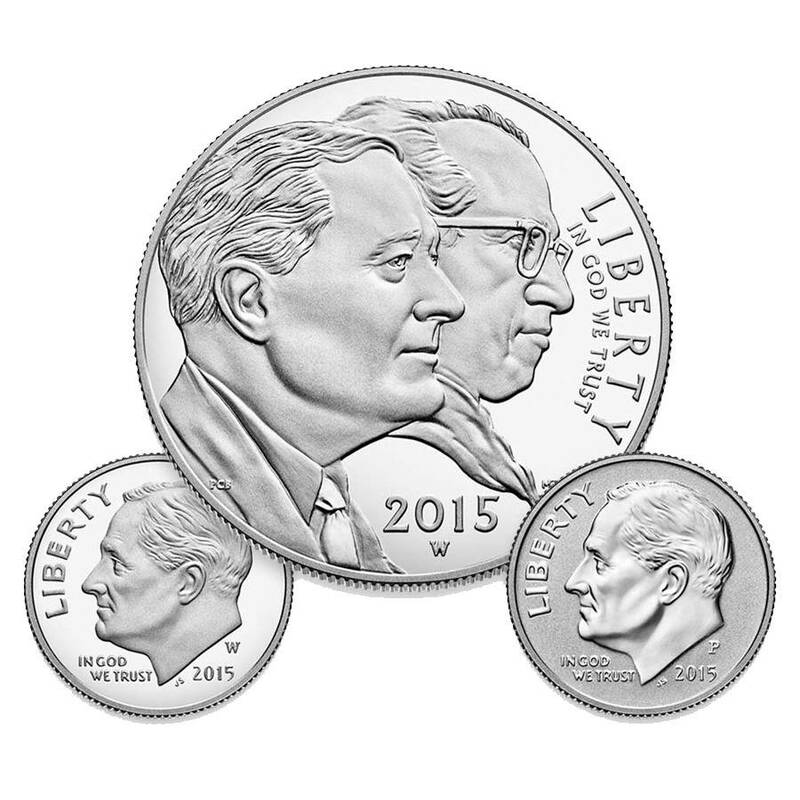 Both the dimes and the silver dollar feature portraits of the organization’s founder Franklin D. Roosevelt. 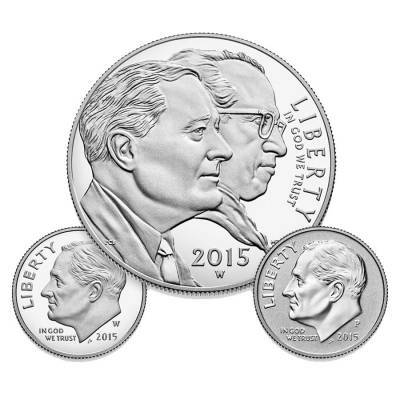 Obverse: Depicts a portrait of President Roosevelt. Inscriptions - “LIBERTY,” “IN GOD WE TRUST,” “2015” and the respective mint mark (proof: W; reverse proof: P). Perfect for any coin collector or as a gift, each coin is encapsulated and packaged in a black velvet clam-shell case, outer box and sleeve. 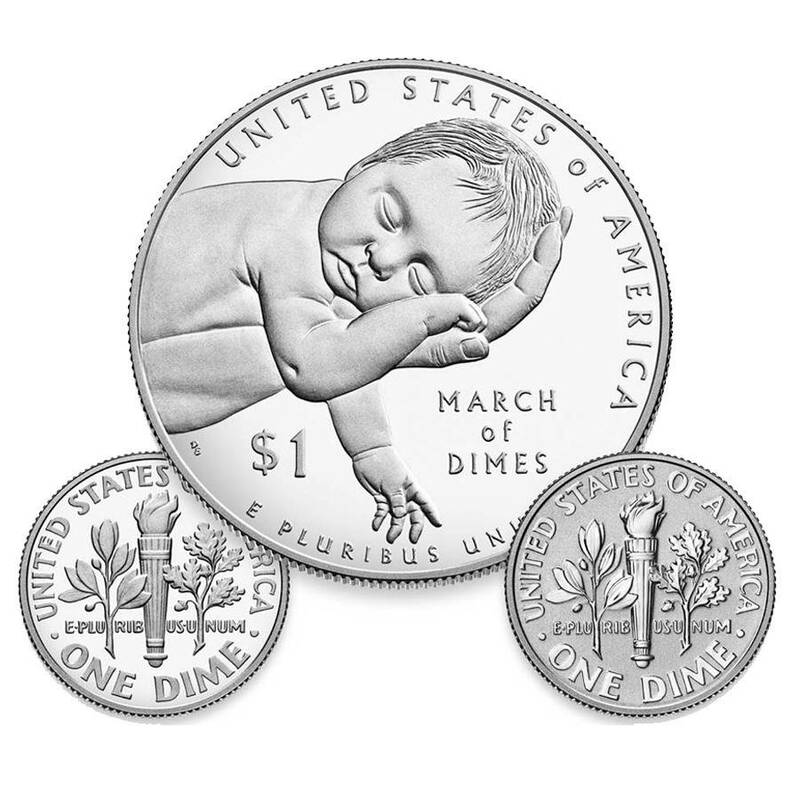 The certificate of authenticity includes history about the March of Dimes, along with coin design information and specifications. 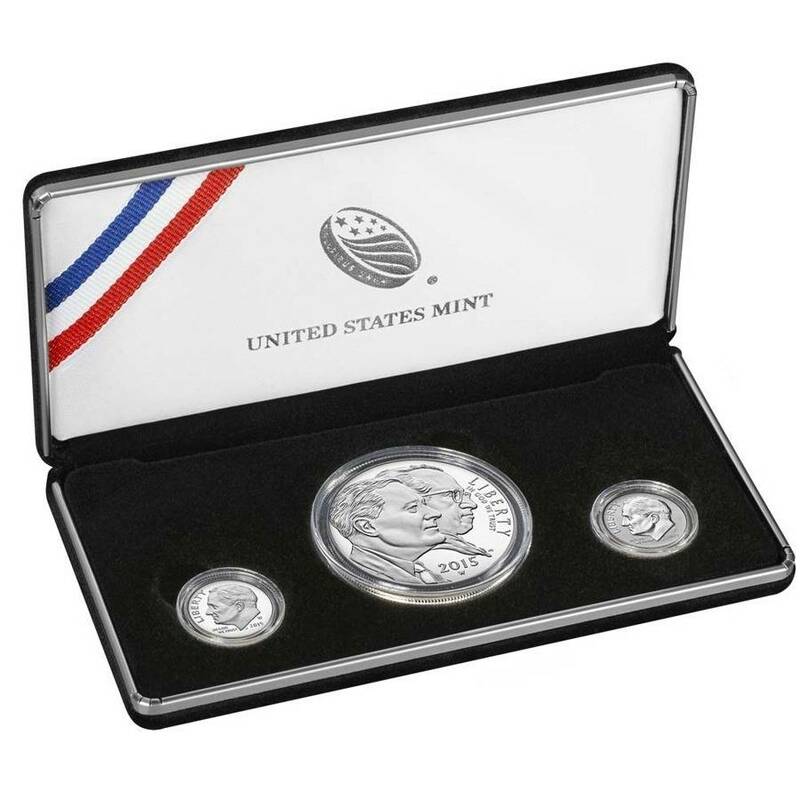 Like all of our other silver coins, these are guaranteed to be 100% authentic. Item will be wrapped and packaged safe for delivery. With this purchase, you earn 69 Bullionaire Bucks 69 BB = $0.07. We currently have 3 of this item in stock. For every $1 spend, you will earn 1 Bullionaire Buck which is equivalent to $0.001 off a future purchase. 69 BB = $0.07.